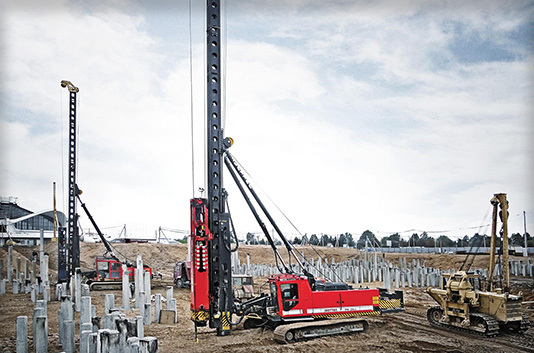 Dedicated piling rigs offer increased productivity and versatility while requiring a smaller crew to operate than crane operated hammers or vibrators. Hammer & Steel features the two finest European engineered brands in our fleet all of which are available for daily, weekly, or monthly rental. 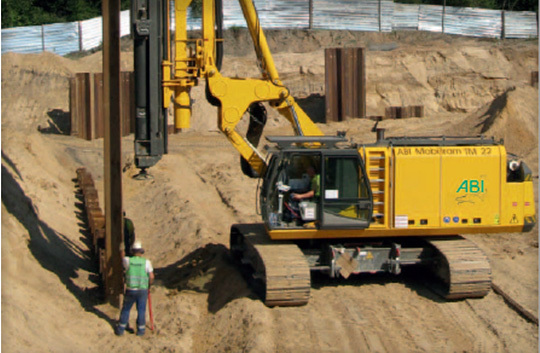 The Mobilram is a multi-purpose piling rig designed for drilling, vibrating, impacting, and pressing piles. High mobility and low set up times coupled with accuracy, power, and speed make this one of the most cost effective pieces of equipment in the industry. The Mobilram's attachments make it an extremely flexible, versatile machine for your job. Developed in close cooperation with contractors and users, Junttan pile driving rigs are the result of years of practical experience. The high efficiency, common-sense design combine high quality and easy of transportation to make these rigs an ideal choice for foundation contractors across the globe.